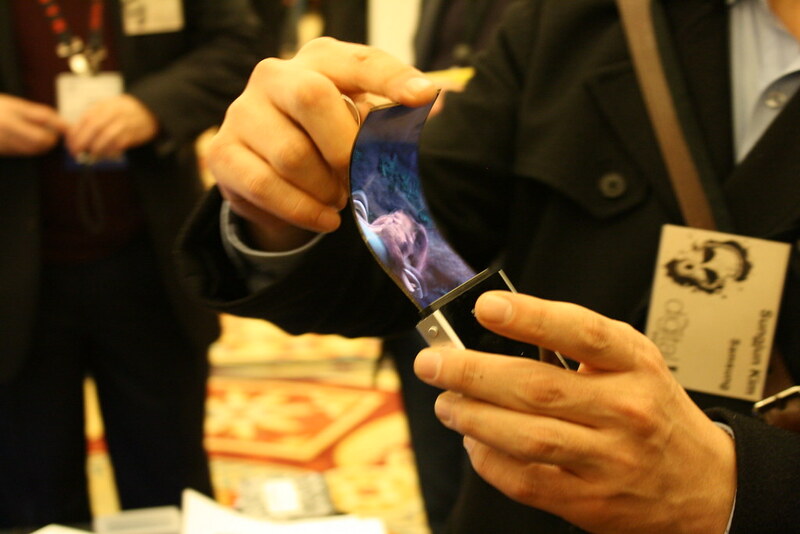 Samsung plans to introduce two new Galaxy devices with bendable displays in the foreseeable future. This is a claim from the Korean media, as their sources from within the company reported that Samsung will launch a bent Galaxy Note 4 in the second half of 2014 and a completely foldable Galaxy Note 5, the company’s new flagship phone, in 2015. – the ones in which picture and quality of the panel do not deteriorate at the point of folding. The displays were presented to the general public at CES 2013 and Samsung has already registered all the patents associated with such technology. 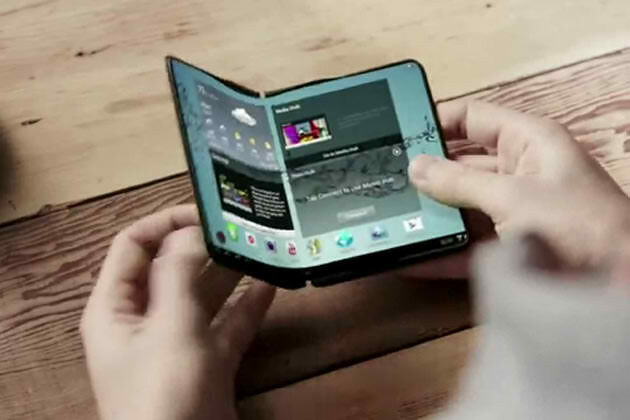 In fact, during the last month’s conference, Samsung Display’s Lee Chang-hoon stated that the company plans to further pursue the technology of bent displays, investing $1.9 billion in the production and perfection of foldable panels in this year only. However, the general public is already very interested and speculations in the gadget community started as the T3, a group of consumer tech enthusiasts, posted their vision of the new Samsung ‘phablet’ on their YouTube channel. The new gadget, as imagined by the T3 crew, is based on Samsung’s various previous projects and devices and brings the foldable screen technology to a new level. The unofficial concept render, entitled Samsung Galaxy Note Book, features a 7.9 inch AMOLED tablet screen with an impressive resolution of 3072 x 2560 pixels, which can turn into a 5.5 inch 2K smartphone when folded. This hypothetical construct also features two MP cameras with 720p video recording, the Snapdragon 800 processor, 3 GB of RAM and a 64 GB hard drive, all powered by L-Ion 9500 mAh battery. In fact, the battery seems to be the only major issue at this point – with foldable displays technology mastered, Samsung now focuses on the flexible battery, as that technology is significantly behind the progress Samsung made in displays, according to sources from within the electronics giant. pioneer work in the field as the company has already launched the world’s first curved smartphone, the Galaxy Round, although the device was not released worldwide and is available only in a handful of countries. Still, it’s a good indicator of just how far ahead of competition Samsung is, especially from Apple, and Kwon Oh-hyun, Samsung Electronics vice-chairman, recently confirmed that this groundbreaking technology will be in our hands sooner than we hope. This article was written by Mary S. She is specialized in Web Design, working for WMD (Web Hosting, Independent Web Development and Web Marketing company) Also, she is working as a freelance journalist, contributing many websites and blogs with her articles.